The October live balance changes have arrived in Clash Royale. The balance is about toning down the popular combo at the current meta a.k.a. the Giant and Poison spell combo. It also adds decent improvements and readjustments for some cards for them to perform better. One of the player’s favorite tank is getting another debuff. Giant’s hit points decreased by 5%, which in the previous patch they reduced his damage by 5%. I think it is considerably an important factor to look at because 5% reduction from a 4,000+ hit point will be reduced by 200+ HP! And that’s an amount that will reduce its potential to get an additional attack to damage towers and buildings. 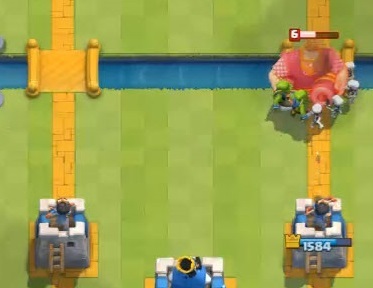 Since no card could offer both tankiness and damage at a cost of 5 elixir, the Giant is still one of the best tanks in the game. Because of this 5% decrease in health, it will make the Golem and Lava Hound a strong alternative if you want that massive health for extra tankiness. Poison spell has its era and now they’re taking it off. The movement speed and attack speed slow have been removed from Poison. It has been the game changing spell for many players because it can perform well offensively and defensively because of its wide area of effect. Its ability to slow the attack of troops, towers and buildings were quite overpowered, especially for Poison with Elixir Collector. You can negate your opponent from using swarm troops to counter tanks, which makes the Mini Pekka an important counter against this combo. The removal of the movement speed slow will result to a less effective to damage troops. Fast moving troops won’t receive the full damage from Poison, especially if not placed correctly. Because of this, the Poison spell won’t be able to stop a strong push from your opponent like before, because of the attack speed slow removal. They’ll be able to inflict much damage before they get killed from the Poison’s duration. Its ability to slow down the Elixir collector’s regeneration is also removed. 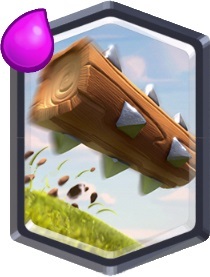 This is really a big nerf to this card and I think that many players will switch to other spells like Lightning and Rocket. Hopefully, we’ll be able to see the Poison spell in the next balance update with a reduced elixir cost. They are trying to make the Elixir Collector a bit risky because of its increased cost from 5 to 6. Because of its increased cost, it will gain increased elixir as well from 7 to 8 and increased lifetime by 10 seconds. The Elixir Collector is the most popular card in the game and almost everyone uses it. The reason being is because you can create insane and deadly combos with it, regardless if you have high elixir deck ratio. Now, because of the changes, it will give more opportunity to counter an Elixir Collector user by going in aggressively. Imagine this scenario, if your opponent placed first the elixir collector, given that both have a full gauge of elixir, he will only have 4 elixirs left to defend. 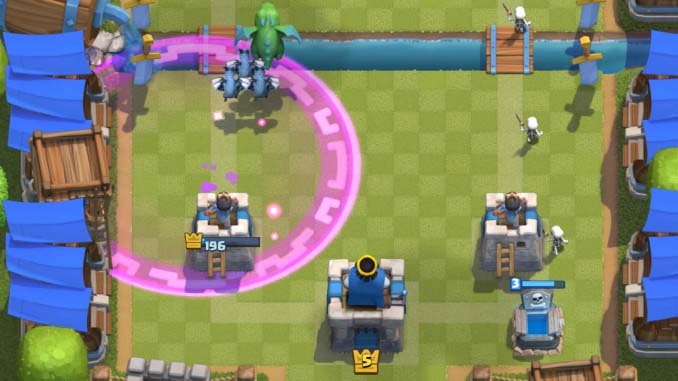 This way, aggressive troops like Hog Riders, Miners and Princes can make way to attack while the opponent waits for his elixir gain. 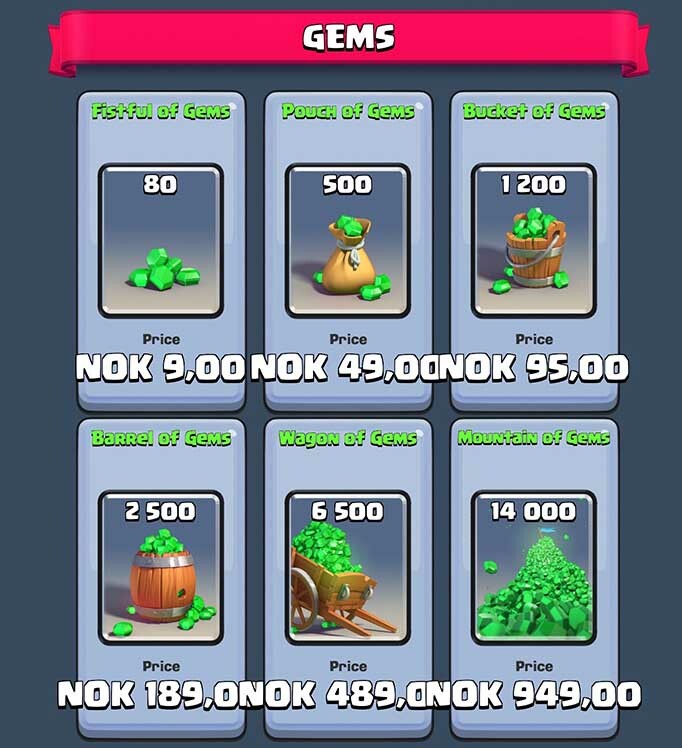 It is also a good trade for Rocket users to target the Elixir Collector since both have the same cost and becomes more rewarding if it hits additional tower or troops. The Log is the least performing Legendary card in the game right now. While it is the cheapest legendary card at the moment, players don’t quite seem to be fond of using it, that’s why they improved its damage again by 8% with a faster projectile and longer range. It was created ideally to dish off low health troops and to counter the Princess, however, other spells are performing better than The Log. Hopefully, we’ll get to see more of this card because of the buff. The Skeleton Army was changed for the better because of the reduction of elixir cost, from 4 to 3. Skeleton count was reduced from 21 to 16 but with increased Skeleton level by 5. It’s great to see this change because Skeleton Army is a forgotten card in higher arenas. Due to the omnipresent splash troops and damaging spells, the Skeleton Army can easily be countered and result to a negative elixir trade. Now, with the reduction of cost, it will be less punishing if it is countered by Zap, The Log and Fire Spirits. It is especially a great card to counter single target troops like Inferno Dragon, Mini Pekka, Pekka and etc. Both Golem and Ice Golem now deals death damage to flying troops. It’s a good buff because the Golem can be easily countered by the Minion Horde. Now, opponents will think twice if they’ll use Minion Hordes against the Golem. It is quite rewarding for Golem deck users to push now knowing that they won’t have to worry about full health Minions to counter the Golem. Coupled with strong supports like Wizard, Witch or Musketeer, the Golem is now a powerhouse not just in the ground but also in the air. Ice Golem is the newest card in the game. It’s mostly used as a supportive tank that damages and slows down the area on its death. It’s a nice feature to damage and affect flying units as well to make it more effective when facing flying-troop decks. 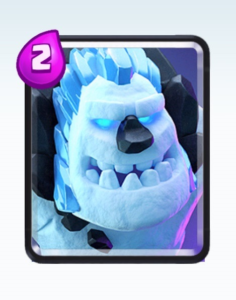 Because of this buff, the Ice Golem will become more rounded and could be a good addition to your deck. The balance update for this October is quite short and didn’t affect a lot of cards in the game. Overall, the balance changes affected majorly the Giant and Poison card users. This will give more opportunity for players to try other cards that will work better because of the nerfs. 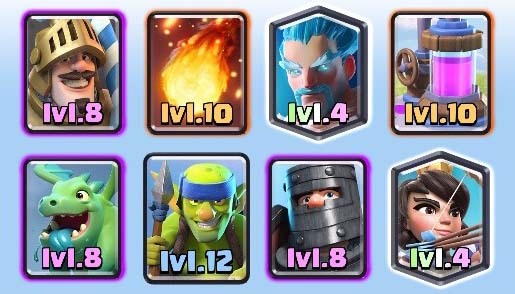 Some are already switching to Lightning Spell and Rocket. The Lightning spell is a good alternative to Poison card since both have the same cost, and additionally it can perform like the Zap Spell. The Rocket also becomes more viable to use against Elixir Collector users. We will also get to see more Golem and Skeleton Army decks from time to time.